With a stunning location on the Bay of Mazzarò, this early 19th-century villa, set in lush gardens, has all the charm of a private residence. 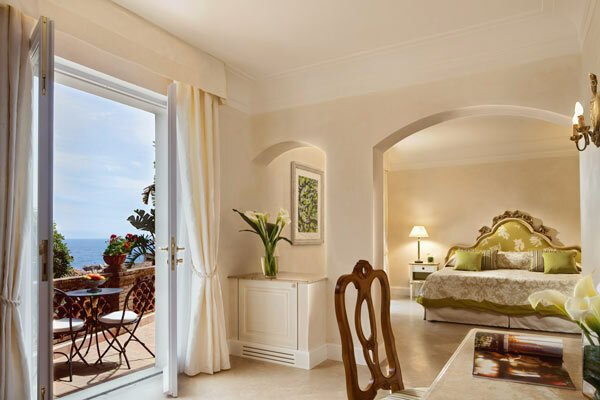 Perfect for lovers of sun, beach and sea, it offers uninterrupted views of the crystal Mediterranean from both guest rooms and the terrace of the acclaimed seafood restaurant. Central Taormina, with its Greek Theatre, medieval streets and mix of Arab, Norman and baroque architecture, is just minutes away. LOCATION: 3-minute cable car (funicular) ride from Taormina centre, 50 minutes from Catania Fontanarossa International Airport. On the east coast of Sicily. ACCOMMODATION: 60 suites and bedrooms. 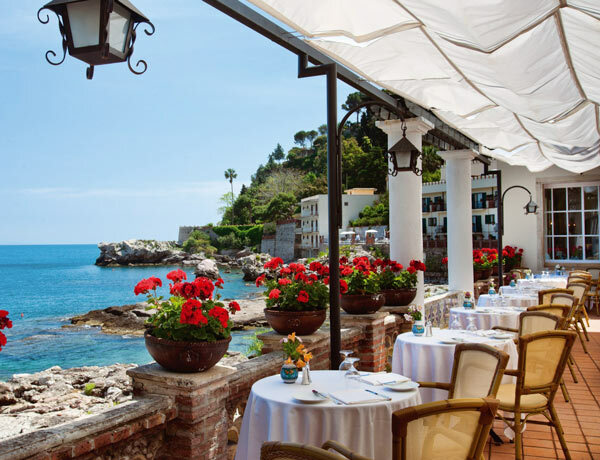 DINING: The Oliviero restaurant is famous for its fresh, authentic seafood specialities. Alfresco bar with live music, beach bar and indoor bar. FEATURES: Private beach. Infinity swimming pool. Complimentary cruise along the Sicilian coastline. Watersports. Gym. Wellness centre. Kids' Club. Banqueting rooms and terrace. Courtesy shuttle to sister property Grand Hotel Timeo and the centre of Taormina.